Thank you for reading about Caleb yesterday. 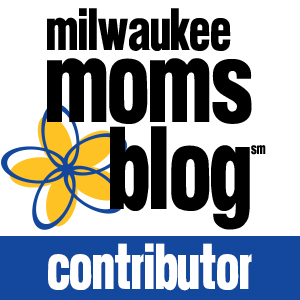 If you missed the post, you can read it HERE. Like many of us mother’s of preemies, Kim was given devastating news about Caleb during her pregnancy, yet he defied the odds and the doctors. Unfortunately, Kim’s doctors were not wrong about her second pregnancy. While, it is a heartbreaking story, there is still so much love and hope. I also feel it is important to share stories with all different outcomes because you never know who may be reading and need support. In case you aren’t familiar with the term Rainbow baby, it is a term used to describe a child born after the loss of another. I hope you’ll read these stories with an open mind and see the love Kim has for all of her children. She never had a chance to go to the NICU or come home. Alexia’s story starts with a normal pregnancy, until 28 weeks gestation. A routine ultrasound showed that our baby was the size of a 17-20 weeks baby & that our baby had gastroschisis (intestines on the outside of the body). After finding out that our baby would need a major surgery after birth my husband became a believer in Jesus Christ (& a Christian like I am). Then I had many ultrasounds, saw a high risk doctor (in Garden City where we lived at the time), saw an awesome perinatologist in Wichita(different from the ones I saw with Caleb) & had an amniocentesis. The perinatologist told us that our baby had amniotic band syndrome (ABS), that it has many different names & that because of the ABS she would not be able to live outside of my womb. We were told that her form of ABS was rare as it wrapped around her chest just under her heart. This band kept her lungs from forming past 17-20 weeks (she would not be able to breath after birth), in turn causing her heart to take up 75% of her chest (her heart was completely normal, but her chest was so small). We were given the normal options: continue the pregnancy until labor started (or she died) or an abortion. Again we chose to carry her no matter what her problems were. God had blessed us with another child & her short little life was precious. We wanted to enjoy every moment we had with her until the LORD took her home. The amniocentesis showed that our baby had perfect genes, that she was a girl and that all her problems were caused by the ABS. Being that all her problems were from the amniotic band syndrome (ABS) there was only a 1% chance that we would have another baby with ABS. Alexia also had: most of her organs on the outside of her body (on her right side), her chest was flat on all sides (it looked like a trapezoid – a triangle with the top cut off), she had a 90 degree curve in her spine above her pelvis (her pelvis & legs were on her left side), both of her feet were severely clubbed & she had no external genitalia. I received steroid shots to mature her lungs, just in case she did have a chance of survival. However there was also a chance that the band could get so tight that she should die before birth. 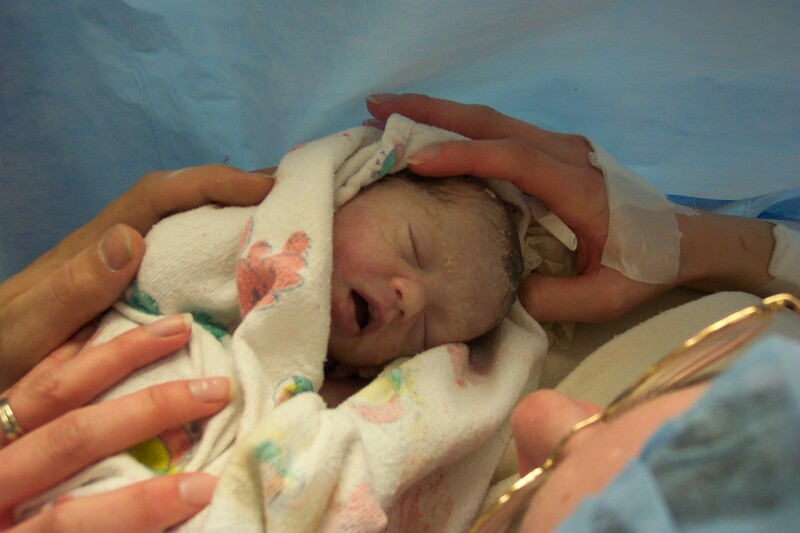 We were also told that 10-15 minutes after birth she would turn gray & her heart would stop. After the shock wore off (& denial set in) we started planning for her arrival & her funeral. I bought pink fabric & made her a silky blanket & a pink stuffed bunny to be buried with (it was a miniature version of a bunny that I had made for Caleb before he was born & it was his favorite lovey). We visited funeral homes, chose a beautiful pink gown with roses down the front for her to be buried in, picked out her casket, we made a cast of my belly, chose her flowers: pink baby carnations with white baby’s breath, planned the funeral how we wanted it (a grave side service then a memorial service at our church) & bought her a plot at the cemetery (we bought her plot a week before I went into labor & it was the last thing we needed to do to finalize all our plans). On April 2, 2004 I woke up from a nap with a back ache. It came in waves & I thought that she had moved wrong & that she was pinching a nerve in my back or pelvis. I couldn’t get comfortable in any position, so I walked around & helped my husband paint a book-case he had made for our son. I called a friend of mine & she said that I could be in back labor & dilate without knowing it. After 2 hours I began to get nauseous. I told my husband that is was probably another false alarm & to let Caleb sleep (he was 2 1/2 years old & napping). Then I drove myself to the hospital (a few blocks from our house). Shortly after getting there I threw up, my water broke & the contractions moved from my back to my front all at the same time. At about the same time Caleb woke up & was frantically searching the house for me. I called my husband & told him to call some of my friends to see who could watch Caleb & to get to the hospital because they were prepping me for a c-section. I was checked & I was still at 1 cm (I had been at 1 cm for a few weeks). It took about 6-8 tries (& 2 nurses) to get an IV in my hand/arm because my veins kept collapsing. Then I was wheeled to the OR. They gave me an epidural & tilted the bed (so my head was down) because my doctor didn’t want me to rupture & the epidural was taking too long to work. When I was finally numb my doctor started the c-section then he saw that my uterus had ruptured from my previous (classical/vertical) c-section (however I had not started bleeding out) & that Alexia was trying to be born through the rupture. Alexia was born at 36 weeks gestation at 7:27 pm. She weighed 3 lbs. 12.4 oz & she was 17 1/2” long (from head, around the curve in her spine & to her feet –I measured her at the funeral home because the nurse measured her at birth as 10″ (from her head to the bend in her spine), Caleb was 13.5” at birth & I knew she was much longer). My husband got to see her open her eyes twice in the operating room before she closed them forever. She also tried to move her legs, but she was paralyzed & she tried to take a breath, but she couldn’t (she never struggled to breathe). After the pediatrician looked her over & cleaned her up a little I got to hold her in the OR & I got to see her move her mouth. It was so exciting to see her move, as I never thought she would move at all. My husband went with Alexia as the nurse took her to the nursery to take her measurements (with our permission). The c-section went well until the doctor was stapling my skin & hit a blood vessel (this caused an abscess that had to be reopened, then I had to clean with peroxide (inside) & pack it for 2 weeks – I also ended up with a spinal headache. Both of these occurred after her funeral). After my surgery Alexia & I were taken to my room. The nurses gave us two pink hats (I asked for a second hat as the first was beautifully knitted, but much too small for her) & lots of warmed blankets to keep her comfortable. Our pastor came to visit along with our friends who brought Caleb to see his sister. A pastor from the hospital brought us a beautifully painted heart-shaped memory box. It had a pink gown, a baby ring & a baby sized stole (for her to wear for a blessing). We held Alexia, talked to her & passed her between myself, my husband & Caleb. There was also pediatrician in the room with us who checked her heart every few minutes. At 8:43 pm I had a feeling that she was gone. I asked my husband who was holding her if she was gone & both him & the pediatrician nodded their heads. Alexia lived for 1 hour & 16 minutes without ever taking a breath. We put the stole on her & our pastor said a prayer & shortly afterwards our parents arrived (they had to drive 3 1/2 hours). After everyone left to get some sleep my husband & I got some time alone with our daughter. A nurse took her to give her a bath & take hospital baby photos of her all dressed up. We had not dressed her until after she died because we didn’t want her to be cold or uncomfortable. I spent a lot of time combing her hair, looking her over & taking photos of her. My nurse took her (at about 4 am) to the nursery so I could get some sleep (I didn’t want to let her go, but I really needed some sleep). The next morning (about 7 or 8 am) my nurse brought her back to me & we took hand & foot impressions & castings. I dressed her in a few different outfits & we took many photos of her. We also took hair clippings & put some in a cross-shaped urn necklace so I could always have a piece of her with me (my husband has one too). More family & friends came to visit & see Alexia. My doctor came to check on me & he brought me a single red rose. The hardest part was when the funeral home director came to pick her up. I was dismissed from the hospital after 36 hours (he gave me the choice to stay another night or go home & I chose to go home) on doctors orders to take it easy (plus I was doing everything I needed to, to be released). He was a very understanding doctor & he knew that I would rest better at home. At home I fixed Alexia’s burial dress by cutting down the very long (newborn sized) sleeves to the length of her little arms & then I sewed them with ribbon in the cuffs to snug them to her tiny wrists. At the funeral home I got to dress her for the last time, wrap her in her blanket, take more photos, have a little more time with her (this is when I measured her) & placed her in her tiny casket The next day at the viewing I held Alexia’s tiny hand & rubbed it while our friends & family came to see her (her hand got warm enough that you would have thought she was alive). The day after was the funeral. The grave side service was beautiful & my husband got to hold her casket though the entire service before laying her casket on the ground for burial. The memorial service was wonderful. Everyone release white balloons with a little tag on each one with her name & who she was (daughter of Kim & Zach, sister of Caleb, ect.). My husband & I released a huge (3 foot in diameter) pink balloon that had ‘It’s A Girl’ written all over it in white, with a laminated photo of her tied to it & a return address on the back (we have not heard anything nor have we received her photo from the balloon) . The LORD answered our prayers. We prayed for: her healing (she is healed in heaven), that we wouldn’t have to choose the day of her birth (& death) & that we could hold her while she was alive (we got to hold her & pass her between myself, my husband & our 2 1/2 year old son Caleb until she died in her father’s arms & went to Our Heavenly Father). Alexia would have been 11 years old this past April. Many things still hurt me if I think about them: when I see a little girl her age, what she would have looked like, what she would have like to do (girly stuff or a tom boy like I was), not getting to help her with her wedding or her babies, ect. Every year on her birthday l look through her (300+) photos, the videos, I hold her birth sized doll that I made (it has all of her malformations), I cry, I wear a necklace that has her hair clippings in it, I bake a cake, we all sing a happy birthday to her & release balloons in her memory. My boys know about her, hold her doll (occasionally) & ask questions about her. I did cross stitch in her memory to hang around our house. We also ended up helping a family at our church as they went through the NICU with their baby girl & through their grief when she died at 3 months old (never leaving the NICU). I also found a lady who was able to support me as she had lost her son a few months earlier. 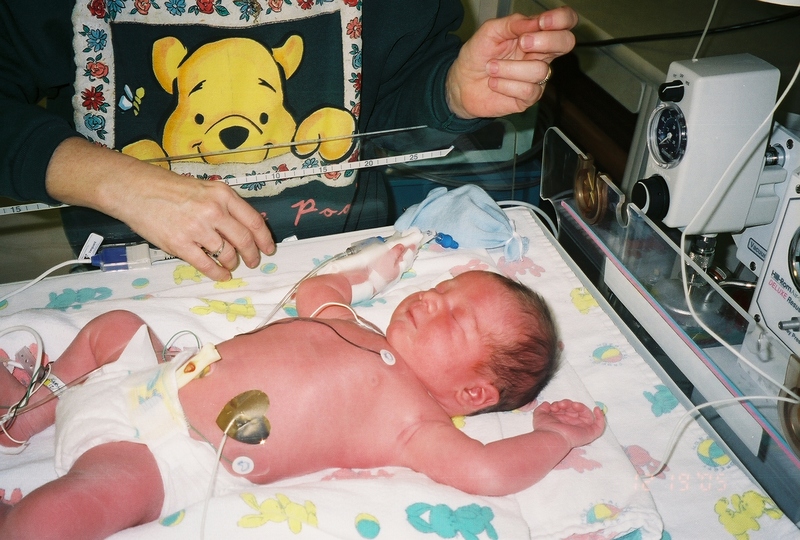 Eli was born at 39 weeks (full term), he was 7# 15.1 oz & 21” long. Eli had to spend 1-2 days in the newborn ICU (this is like a level 1 or 2 NICU) to get his blood sugar straightened out since I had gestation diabetes (& after birth his extra sugar supply was cut off). He was born after a normal pregnancy (despite having gestational diabetes again) & a scheduled c-section. I barely got to see him before he was taking to the ICU. At first the nurses said I couldn’t see him until I could stand up & walk on my own. However the same doors that take beds to the ICU also go to the OR. We argued with the charge nurse that there was no reason to keep me from my baby (they had never wheeled a mom into the ICU before & that is why they didn’t want to wheel me in) & when Eli was about 3 hours old they wheeled my bed into the ICU so I could hold him & try to breast feed him. He wasn’t premature, however he was our Rainbow Baby. The only thing that happened during this c-section was, my doctor did a bikini cut c-section through my uterus & tried to avoid my very weak classical scar (that had ruptured with Alexia). The doctor was able to get Eli’s head & one arm out through the bikini cut, then when he tried to get Eli’s other arm out my old classical scar ripped all the way up. So my doctor had to sew an upside down ‘T’ in my uterus. After that my doctor told me not to have any more children because my uterus was/is so weak that both me & another baby could die. He also told me that my uterus is webbed in place by scar tissue (so much that he could not find my tubes to tie them & he told me I would need another c-section if I ever wanted or needed a hysterectomy). Also my doctor & Eli’s doctor told me that they had never seen so much scaring in their careers. He came home with me at 3 days old. About a week later he got a bili blanket to use at home for a few days to help his jaundice. 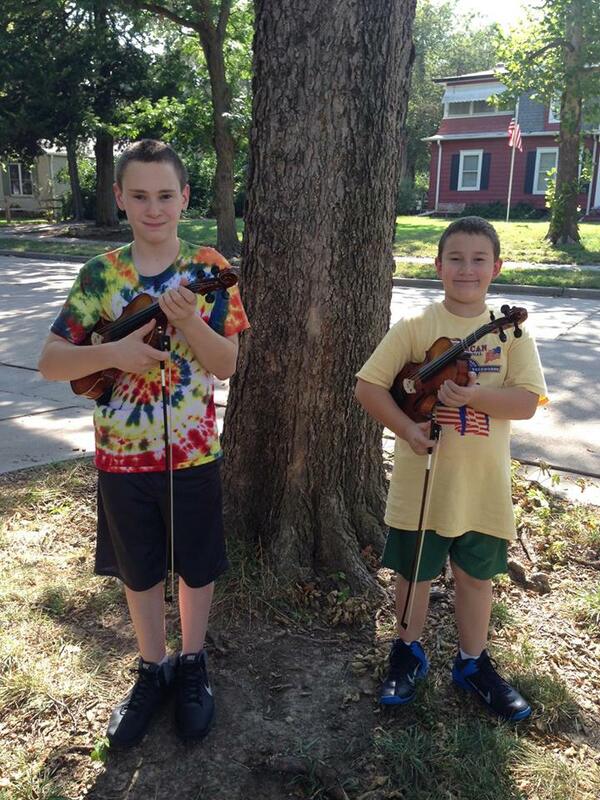 Eli is a very smart, normal, healthy boy who is an awesome violist (he plays the viola)! Sadly I am no longer able to have children because of the risk to my life (& another baby’s life). This does hurt me knowing I will never have another child, however my husband & I would like to adopt a child one day. Thank you again to Kim for sharing all three of her children with us. If you, or someone you know, needs support, please reach out to me or Kim. We would be happy to help in any way that we can, or find you the support you need. This story was so touching! I had difficulty holding back tears of Alexia’s birth. I cannot fathom what this family has gone through. Such a beautiful and strong woman. Thanks for blessing us with your story. I love this. I first heard about Rainbow baby last month when a post was shared on Facebook. Thank you for posting this story and stories of others. It’s so touching and helps bring about awareness. Wow. This is devastating to read about, but I’m glad that she has two healthy lovely boys now. I can’t even begin to imagine what it’s like to go through something like that, and I wish her and the family nothing but happiness from here on out. I’m so, so heartbreakingly-sorry for your loss. You handled it and told the story beautifully. Your boys are beautiful. Thank you so much for sharing this story. Your little girl was so perfect Kim. She was beautiful. Thank you for sharing your touching story. I’m so happy you were blessed with Eli and it was a healthy pregnancy. I had tears down my face reading about Alexia. I am so sorry for you and your families loss. However, it is so amazing that you were blessed with Eli and Caleb. Thank You so much for sharing your story. Wow what an incredible story. What an amazing testament to the love and strength of this family. I can’t even imagine the courage it took. And I love how they continue to honor her memory. She is well loved and blessed to be born into such an amazing family. This story was both heartbreaking and encouraging. God works through these things for sure! Wow…I fought back tears reading this. Kim, you are incredibly strong and I thank you for sharing your story. I have no words. Such a courageous woman to share her heart with us. How heartbreaking to lose a child so soon after being born. Thanks for sharing Kim’s story with us. My heart goes out to her. 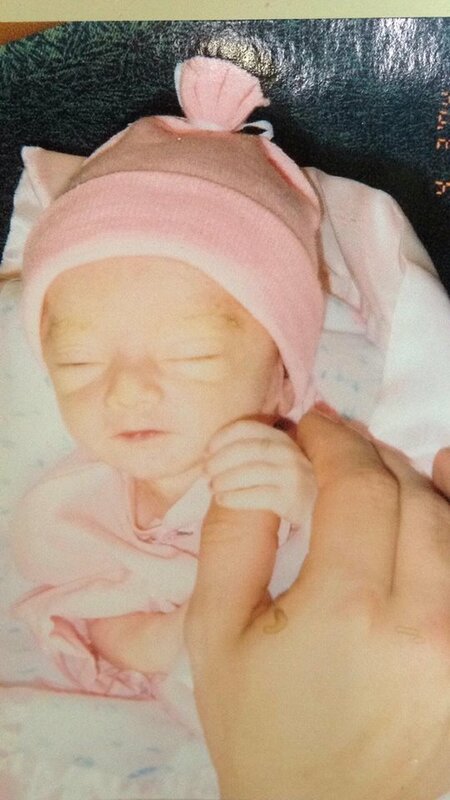 Alexia was a beautiful baby girl. I cried reading this, but thank you for sharing this beautiful story. This is such an incredible story!